Researchers David J. Bond and Lakshmi Yatham think they may have identified why bipolar disorder and obesity occur so often together. In North America, more than 60% of people with bipolar disorder are overweight or obese, and obesity rates are 60% higher in people with bipolar disorder than in people without bipolar disorder. Bond and Yatham hypothesized that adipokines might be responsible for both bipolar disorder and obesity. Adipokines are cell signaling proteins that regulate both mood and appetite. Abnormal levels of adipokines in blood could cause both mood episodes and weight gain. The researchers measured blood levels of five adipokines (leptin, adiponectin, resistin, adipsin, and lipocalin-2) in 53 young people with bipolar disorder. They found three interesting links between adipokines, mood, weight, and medications, which they reported in the Journal of Clinical Psychiatry in 2017. The first finding was that low levels of leptin and adiponectin (adipokines with antidepressant properties) predicted a greater risk of depressive relapse over a 12-month period. The second finding was that high levels of leptin and adipsin predicted greater weight gain over a 12-month period. The third finding was that treatment with second-generation antipsychotics, which often leads to weight gain and other metabolic side effects, was associated with higher levels of resistin, an adipokine linked to type 2 diabetes. The findings about leptin were particularly interesting, because leptin’s appetite-regulating effects change with a person’s weight. 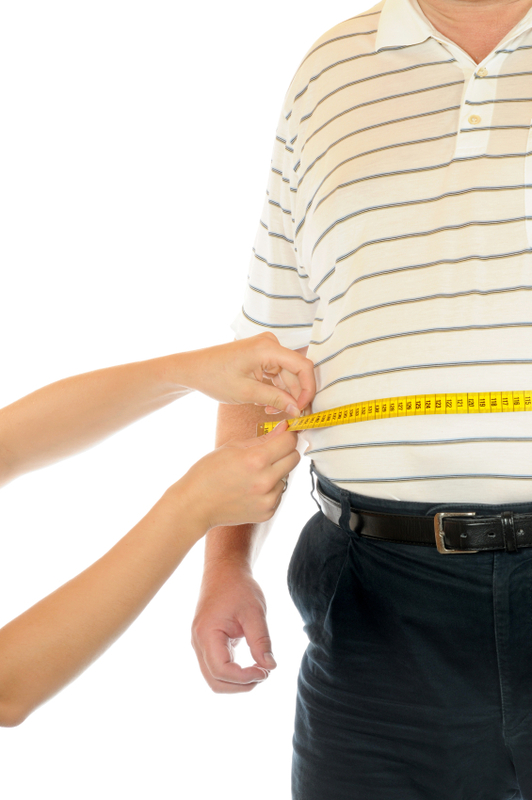 In the study, low leptin predicted depression, while high leptin predicted weight gain. In people of normal weight, low leptin predicts weight gain, while in overweight or obese people, high leptin predicts weight gain. Bond and Yatham suggest that leptin’s mood-regulating effects may be more consistent, with low leptin increasing depression risk regardless of weight. These findings may help researchers find ways of treating mood episodes that do not encourage weight gain. In early 2017, the National Academy of Sciences, Engineering, and Medicine issued its first comprehensive report on cannabis since 1999. Shifting public opinion over the past few decades has led to 28 states and the District of Columbia legalizing medical uses of marijuana, and eight states and DC legalizing recreational marijuana use. 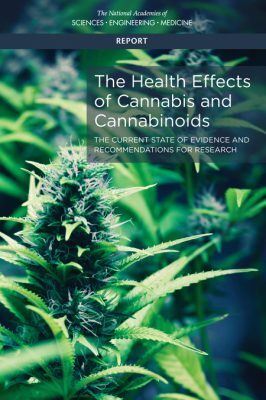 The Health Effects of Cannabis and Cannabinoids: Current State of Evidence and Recommendations for Research is intended to address the lack of accepted standards to guide individuals in deciding whether and how to use cannabis safely. In addition to summarizing recent health-related findings on cannabis, the report also offers recommendations to guide future research. 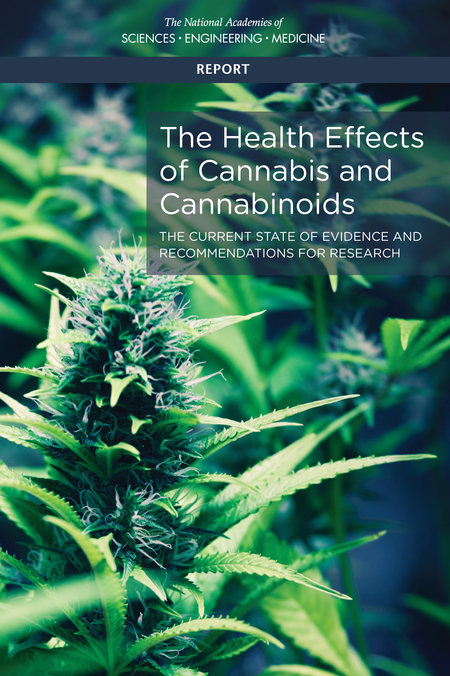 The report shares findings about possible therapeutic benefits to cannabis use as well as health impacts relating to areas such as cancer, respiratory disease, immunity, pre- and post-natal health. There were several notable findings with regard to mental health. The committee that issued the report found substantial evidence of a statistical association between cannabis use and the development of schizophrenia or other psychoses, with the highest risk among the most frequent users. The committee also found moderate evidence of a link between cannabis use and increased symptoms of mania and hypomania in people with bipolar disorder who use cannabis regularly. The report also describes moderate evidence of an association between heavy cannabis use and increased suicidal ideation and suicide attempts. There was also moderate evidence that regular cannabis use is linked to social anxiety disorder. A statewide program to promote healthy behaviors within families has been successful in Vermont. 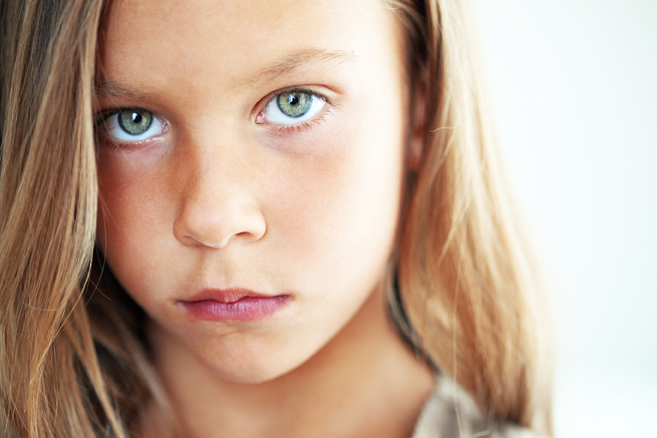 The approach, described by researcher James J. Hudziak at the 2015 meeting of the American Academy of Child and Adolescent Psychiatry, is based on three assumptions. The first is that emotional and behavioral health is the cornerstone of all health. 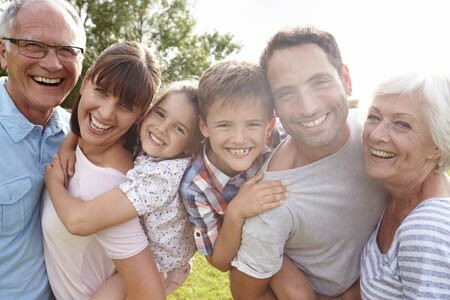 The second is that health behaviors are formed and sustained within families. The third is that promoting healthy behaviors, preventing illness, and intervening for better health outcomes are all important to enhancing the health of the population. Vermont used community outreach (including town-hall public events), the media (including Twitter, blogs, radio, television, public service announcements, and a short film), and group trainings of community professionals to successfully spread health messages to families. The program targeted pediatricians’ offices, schools, community mental health centers, federally qualified health centers, and Departments of Health, Mental Health, and Child Welfare. Hudziak has also suggested that programs of exercise, music, and mindfulness (all of which enhance brain growth and development) should be made universally available to children in school. Parents, if your child (aged 2 – 12) has mood or behavioral difficulties, we would like to enlist your participation in a study called the Child Network. Parents who enroll in the study will complete an online rating checklist of your child’s symptoms once a week by a secure web-based system. In addition, adults who have been diagnosed with depression or bipolar disorder and are the biological parent of a child (ages 2-12) who is currently healthy and has no troublesome mood or behavioral symptoms may also be eligible to participate in this study. If you are interested in participating in this study, please click here. For more information, click here, call 301-530-8245, or email questions to PROTECTED EMAIL ADDRESS. Attorney Katharine Gordon has provided some information on legal rights under the ADA. When we think of the Americans with Disabilities Act (ADA), we might think of physical modifications to buildings, expensive lawyers, and complicated trials. But this law also gives people with bipolar ways to get fair treatment in the workplace. By learning a bit about your employment rights under this law, you can focus on excelling in your chosen career, rather than being sidetracked by ignorance, stereotypes, and stigma. It is now clear that people with bipolar disorder are protected under the ADA in employment. Prior to 2008, there was often a battle of the experts to prove that a person with bipolar disorder had a severe enough impairment to be protected. This discouraged many from asking for their rights to be respected under this law in the first place. Unfortunately, companies would fire people for having bipolar disorder and then, in next breath, argue that bipolar wasn’t a real disability therefore it was legal to fire people for reasons related to their bipolar disorder. This changed with the passage of the Americans with Disabilities Act Amendments Act of 2008, which made it easier to establish disability. The Equal Employment Opportunity Commission, the agency responsible for enforcing this law, has made it clear in official regulations that bipolar should generally be covered as a disability for the purposes of protection in employment: “It should easily be concluded that the following types of impairments will, at a minimum, substantially limit the major life activities indicated:…major depressive disorder, bipolar disorder, post-traumatic stress disorder, obsessive compulsive disorder, and schizophrenia substantially limit brain function.” 29 C.F.R. § 1630.2(j)(3)(ii), (iii). Keith O’Neil is a former Super Bowl champion and the founder of the Forever Foundation, an organization whose mission is to educate the public about bipolar disorder and to de-stigmatize the illness. In September he spoke at the Brain and Behavior Research Foundation (formerly NARSAD) meeting in Washington, DC. The anxiety and the racing thoughts continued, and O’Neil became increasingly depressed. When he was 10 or 12 years old, he began to experience suicidal thoughts and searched his parents’ medicine cabinet for pills he could use to commit suicide. Anxiety and depression became more prominent even though he was an “A” student, one of the most popular kids at school, and an extraordinary athlete, and had a loving family and many friends. He began to use alcohol excessively, had conduct problems, was impulsive and was always in trouble. O’Neil excelled in football in high school, started college at Northern Arizona University, and quickly became an All-American linebacker at Penn State. He was a first-round draft pick for the New York Giants. His teammates would nap between workouts for coach Bill Parcells, but instead, O’Neil would sit and cry over his inability to sleep. When he was later picked up by the Dallas Cowboys as a free agent, he was unable to sleep for five nights. O’Neil moved on to the Indianapolis Colts. He did not sleep for four nights before his first game, and told coach Tony Dungy that he needed help, as he did not think he could play the next day. Dungy took him seriously and had him meet with the general manager, the team doctor, and the trainer. O’Neil felt extraordinarily relieved to be able to talk about his anxiety for the first time and took some clonazepam (Klonopin) for sleep and anxiety. 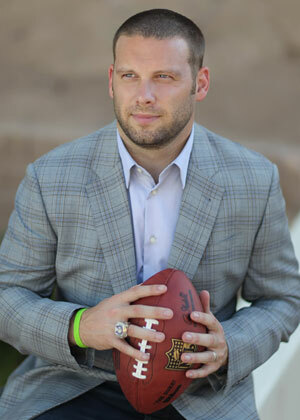 Although he missed his first game, he became increasingly successful and the captain of the team that three years later would go on to win the Super Bowl. O’Neil returned to the Giants for five seasons. While in New York, his wife miscarried, triggering O’Neil’s first major manic episode. He felt super human, spent excessive amounts of money (bought a Rolex watch and three diamond earrings), did not need sleep, and was generally out of control. In 2010, O’Neil was diagnosed with bipolar disorder by Steven Dubovsky, one of the pioneers in the development of calcium channel blockers for the treatment of bipolar disorder. After his manic episode, O’Neil swung into a severe 18 month–long depression, which he described as “the depths of hell.” He gradually improved and started on a regimen that included medications, exercise, and relying on his family for comfort and support. He then moved to Phoenix, Arizona to start his foundation—the Forever Foundation. The foundation provides information about the illness and promotes de-stigmatization. O’Neil visits high schools to teach students about bipolar illness and the importance of talking about anxiety and depression and getting help. In the question and answer period following his talk, O’Neil discussed his own treatment. His early experiences with antidepressants were somewhat positive for his depression and anxiety, but may have been influential in his first manic episode. He said he is now well, and described his current medication regimen, which includes lithium, the mood stabilizing anticonvulsant oxcarbazepine (called Trileptal, which is structurally similar to carbamazepine or Tegretol), and the atypical antipsychotic aripiprazole (Abilify), which works extraordinarily well for him and which he called his savior. O’Neil occasionally uses Ambien (zolpidem) or Seroquel (quetiapine) for sleep. O’Neil talked about the importance of confronting his own illness and adopting a positive attitude about getting treatment and doing everything he could to get well. He had a family history of mood disorders including depression in his paternal grandfather and bipolar disorder in an uncle. O’Neil remembered that in his days as a professional football player, even though he was a standout player, he was so anxious that he would get confused about the playbook and have to rehearse it over and over in order to remember. He felt that he dealt with his racing mind and his anxiety in part by funneling it into “controlled recklessness” as a football player. Keith O’Neil received a standing ovation from the gathering of scientists and approximately 150 supporters of the Brain and Behavior Research Foundation . Make lists. Carry a notepad with you, or use a smartphone to keep track of errands, shopping lists, daily tasks, and when you should take your medications. Use a paper or electronic day planner or a personal organizer to keep track of appointments and special days like birthdays or anniversaries. Use a wall calendar and hang it in a place that you will see it multiple times per day. Carry a notebook and record everything you need to remember, including to-do lists; the dates, times, and addresses of appointments; important telephone numbers; and the names of people you meet and a brief description of them. You can also use the notebook to keep track of medical information: your medication schedule, any symptoms or side effects you are having, or questions to ask your doctor. You can also do this using an app like What’s My M3 or by downloading a personal mood charting calendar from our website. Leave yourself a voicemail message to remember something important. When you listen to it later, write down the information. Organize your home or office. Keep things in familiar places so you always know where to find them. Avoid distractions. Find a quiet, uncluttered place to work or think where you can focus your attention for longer. Have conversations in quiet places. This will help you concentrate better on what the other person is saying. Repeat information aloud, and write down important points. If someone gives you information about an appointment, you might repeat the time, date, and location of the appointment out loud while righting it down. Keep your mind active. 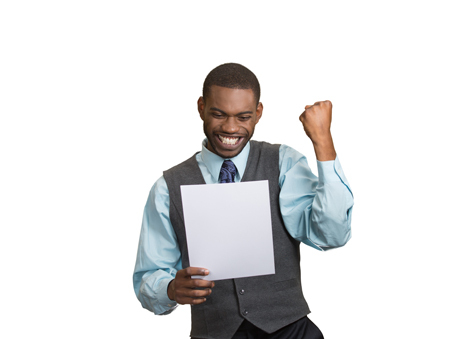 You can use crossword puzzles, word or math games, or attend events about topics that interest you. When writing, proofread. Double-check whether you’ve used the correct words and spellings. Train yourself to focus through mindfulness. For example, if you keep misplacing your keys, pay extra attention each time you set down your keys. 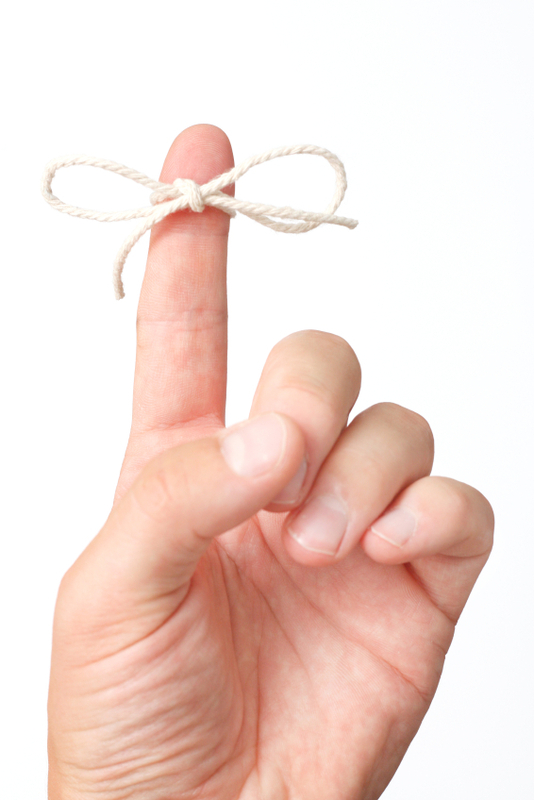 You may say aloud, “I’m putting my keys down on the counter.” Hearing the auditory cue can boost your memory. Exercise, eat well, and get plenty of rest and sleep. These habits will help your memory work best. Tell your loved ones that you are having memory problems, so that they’ll understand that you may forget things you may normally be able to remember. They can help you or encourage you. 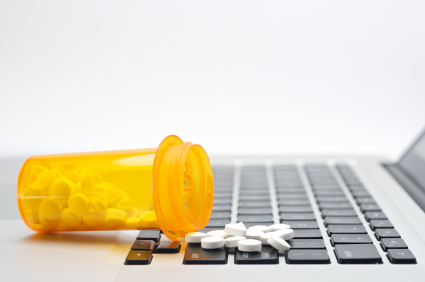 In late 2012, the Federal Drug Administration announced that 97% of online pharmacies violated state or federal laws and/or safety and practice standards set by the National Association of Boards of Pharmacy. Medications sold by fake pharmacies may be fake, expired, contaminated, not approved by the FDA, or unsafe. Allows you to buy medications without a prescription. Offers prices that are too good to be true. Sends spam emails offering discount prices. Is located outside the US. Real pharmacies are licensed by the state where they are located. They should provide a physical address and phone number, where you can reach a pharmacist who can answer your questions. An article published by Medscape reports that in a recent study by Dr. Joan Luby of Washington University School of Medicine in St. Louis, non-depressed preschool children whose parents showed more nurturing behaviors during a mildly stressful task were found to have hippocampal volume almost 10% greater than their peers whose parents showed fewer nurturing behaviors. The hippocampus affects cognitive functioning and emotion regulation. Unfortunately, parental nurturing did not effect the hippocampal volume of children with early-onset depression. 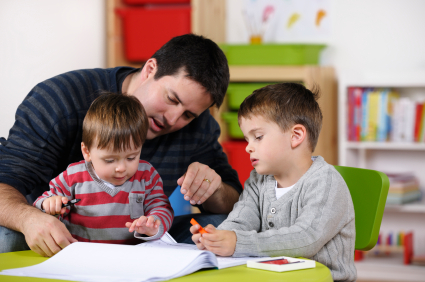 “The finding that early parenting support, a modifiable psychosocial factor, is directly related to healthy development of a key brain region known to impact cognitive functioning and emotion regulation opens an exciting opportunity to impact the development of children in a powerful and positive fashion”. Multiple investigative groups at the 9th International Conference on Bipolar Disorder (ICBD) held in Pittsburgh in 2011 reported on the use of mobile phones or other automated processes to provide a more detailed ongoing record of a patient’s mood fluctuations and response to treatment. A particularly notable study by Nolen and colleagues described an electronic version of the life chart method (e-LCM) that would be accessible via internet, and which could be integrated with the patient’s file and used for research. These investigators developed software for a patient version and a clinician version. The web-based version is not yet available for patient use. 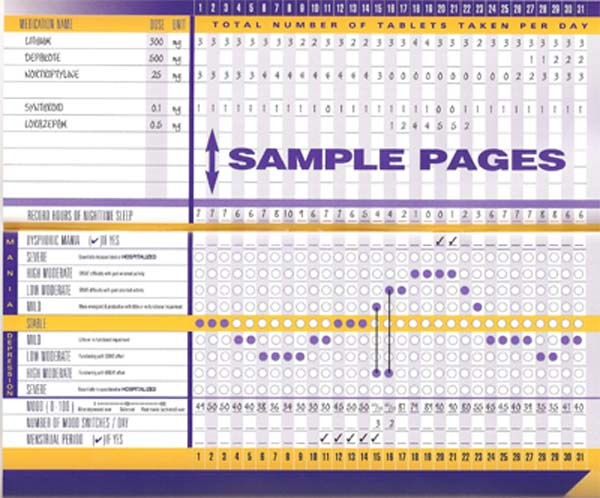 Editor’s Note: Until this and other useful electronic monitoring procedures become available, we recommend using the written version of a life chart to provide daily assessments of mood, side effects, and comorbid symptoms in order to provide a detailed numerical and graphic record with which to judge treatment response. This method is extremely valuable in developing new treatment approaches for those with treatment-resistant illness, and if patients keep these records, physicians will have optimal and detailed input in order to assess response and make treatment recommendations. My Mood Monitor provides another available approach. This system was developed primarily as a screening instrument, but also includes a longitudinal monitoring component. It is not designed for daily monitoring, but can be used repeatedly with a minimal interval of one week between ratings. We’ve written before about depressioncheck, My Mood Monitor’s iPhone app that can quickly screen for mood and anxiety disorders.